Lightening Hair established in January of 2000. 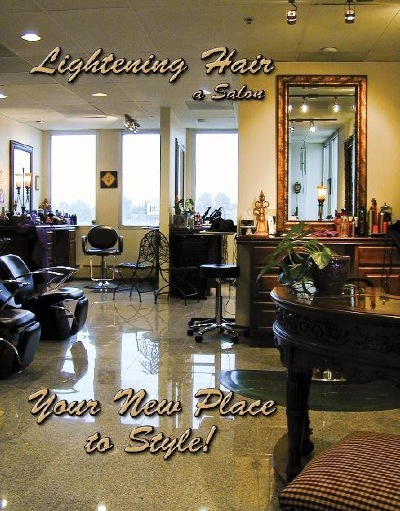 At lightening hair we have excellent products training and vision to make you stand out. Our goal is to make you feel your best and look great everyday. Located just off Leetsdale and Monaco Blvd. with a great view of the Rockies let us pamper you with tea and bone china while you receive par excellence in your hair care needs. Make it a day, call us and set up a beauty package, have a deep conditioning treatment, a new color and cut followed by a wonderful style or up do. We have tea in bone china with cookies at all times to give you the very best salon experience at Lightening Hair we care.